Not all car and truck owners realize that when a window on their vehicle becomes damaged that they can seek out a mobile windshield repair service to help fix the issue vice spending the time to take the auto into a garage for repairs. Not only can a mobile service team take care of the issue at a time and place of your choosing, but if you make the smart decision and choose an established auto glass repair company like Express OC Auto Glass to take care of your vehicle’s auto glass needs, you will never have to worry about our mobile teams showing up without all of the appropriate tools, parts, and materials to take care of your auto. Our company has been in business for more than 10 years, and we have a wide range of experience with all phases of the auto glass repair process and are you best choice when searching for auto glass repair near me. Every single one of our technicians has undergone a thorough training and certification process, and we also make sure that we have all of the appropriate licensing and bonding paperwork approved to work in the Yorba Linda and surrounding areas of Orange County which is not necessarily common in the mobile glass repair business. You will be simply amazed at the quality of work that our techs consistently deliver on a daily basis for our customers on all services to including an car windshield replacement if you need it. Our mobile repair services are delivered at no extra charge to our customers. We believe in keeping costs down, and the last thing that our company will ever do is surprise you with any hidden fees or surcharges when hired to do a job. 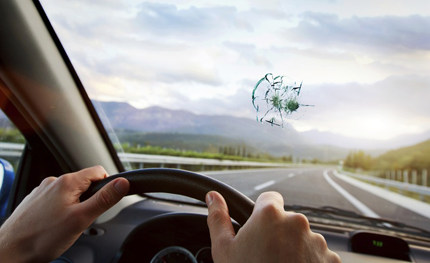 Most basic auto glass repair services will take our repair teams between 30 and 45 minutes to accomplish, and it takes between three and five hours to complete a full windshield replacement job depending on the size of vehicle and windshield. When you first reach out to our staff, our team will review the issues with your automobile’s glass with you, and then we’ll come up with a proposed game plan to attack the issues. Our policy is to always give you a free estimate if you are looking to hire us to work on your auto glass, and we encourage all of our customers to feel free to shop around the local area to see how our services and pricing stack up to the competition. We continue to be one of the top-rated service providers in Orange County, and we stand behind all of the work done by Express OC Auto Glass Techs 100% with one of the best warranties you will find. If you have any questions regarding our pricing models, or just how auto glass repairs work in general, then give our staff a call. We love to answer questions from prospective clients, and we look forward to working with you.